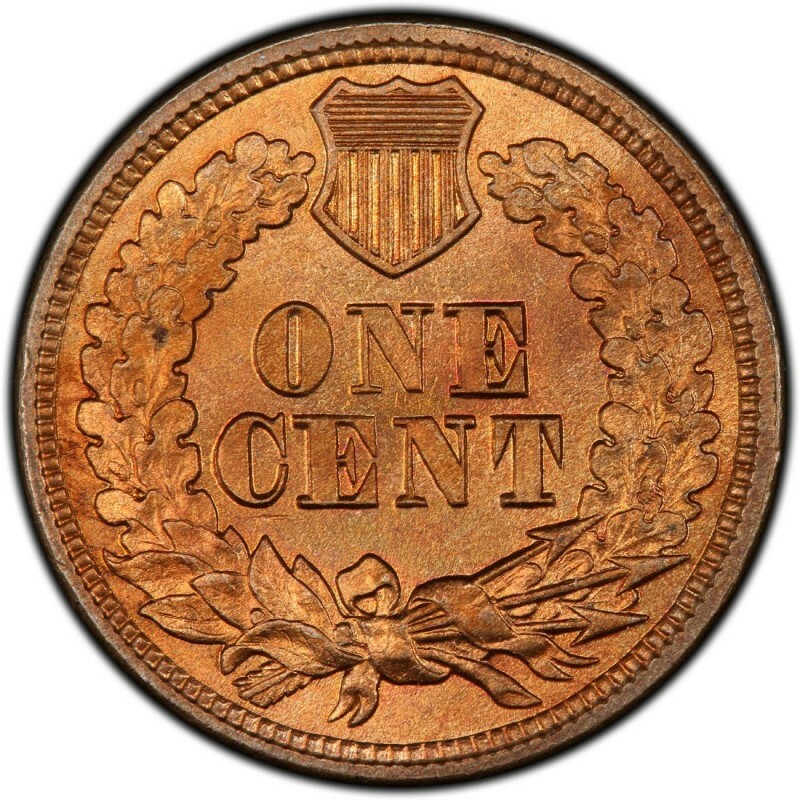 1863 Indian Head cents were made with a copper-nickel alloy, which is fairly unusual for a denomination much more associated with the later bronze composition. This copper-nickel composition makes for a much more whitish appearance than many collectors would be accustomed to on the penny. 1863 would be the last full year that this composition was used, as in 1864 the U.S. Mint began using the bronze composition. 1863 Indian Head pennies were struck in huge quantities, with some 49,840,000 business strikes made; this means the 1863 penny is the most common of all copper-nickel Indian Head pennies, and this fact is seen in the price of Good-4 specimens, which sell for as little as $9 – about half the amount of some other copper-nickel Indian Head pennies. 460 proof 1863 pennies were made, and these are valued at around $3,100. Most Indian Head penny collectors vie for the business strikes to include in albums and series sets. 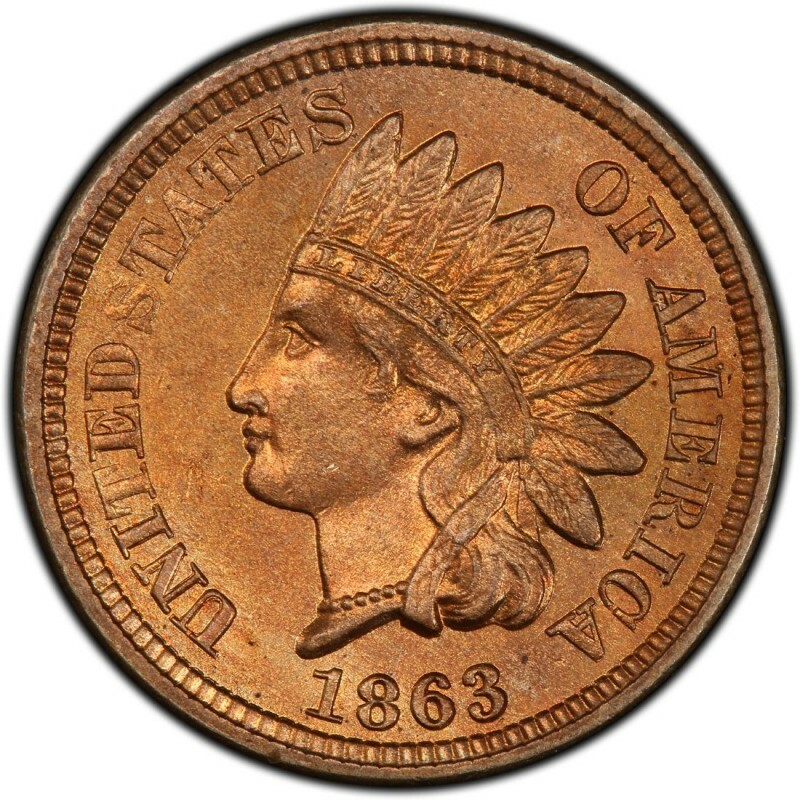 The 1863 is also a popular choice for type set coin collectors who want an example of a copper-nickel Indian Head cent. For the most part, you should have little difficulty in finding nicely worn pieces, but do be sure to avoid corroded or specimens or those showing other signs of damage.